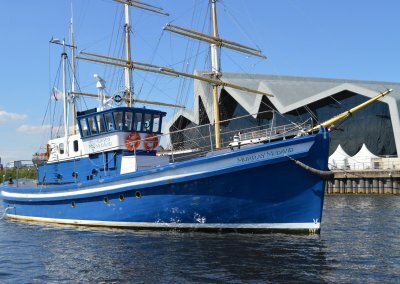 The Murray McDavid (aka ‘NewCraig’) was built in St Monans, Fife in 1954 by shipbuilders James N. Miller & Sons Limited; a family run business established 270 years ago. 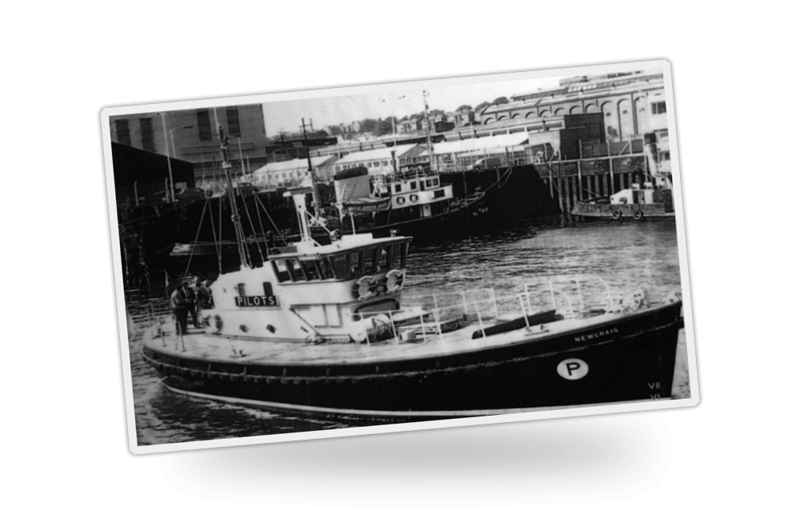 In the 50s, the company was run by brothers Tom and Willie Miller. 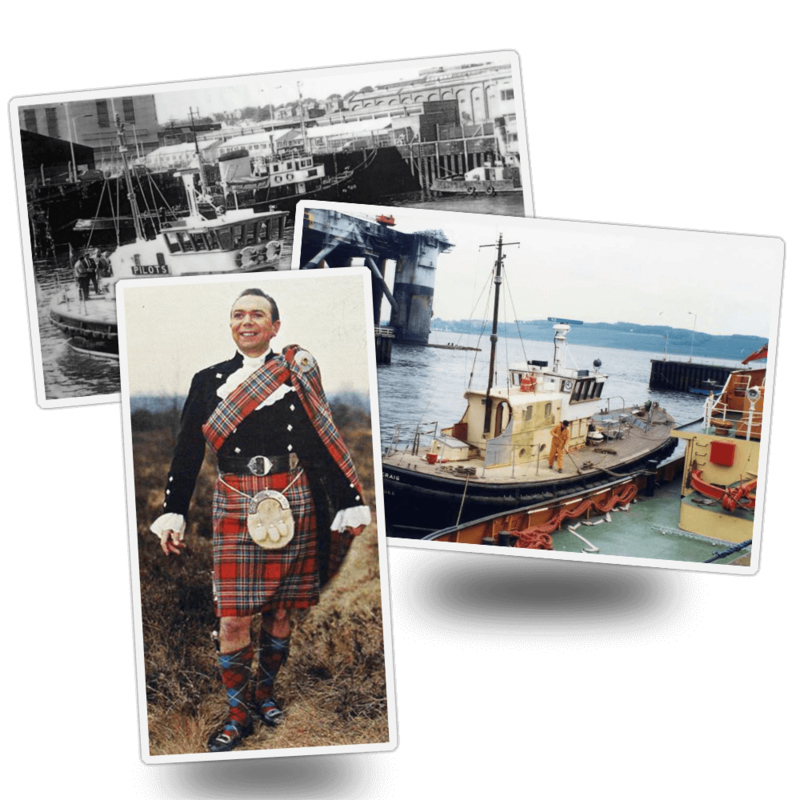 Willie’s son, Niven, like his father before him, served as an apprentice boat engineer in Glasgow. 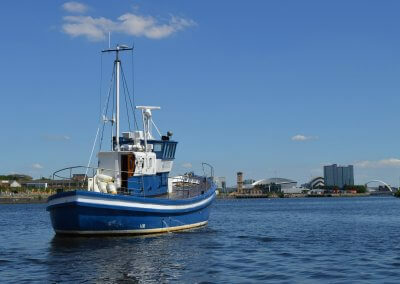 However, he gave up boatbuilding for a life as a singer and went on to find fame as a singer of traditional Scottish songs, receiving worldwide acclaim. 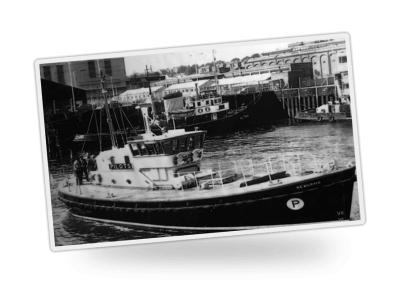 The Murray McDavid began life as a pilot boat transporting mariners (pilots) to and from ships in the open sea. 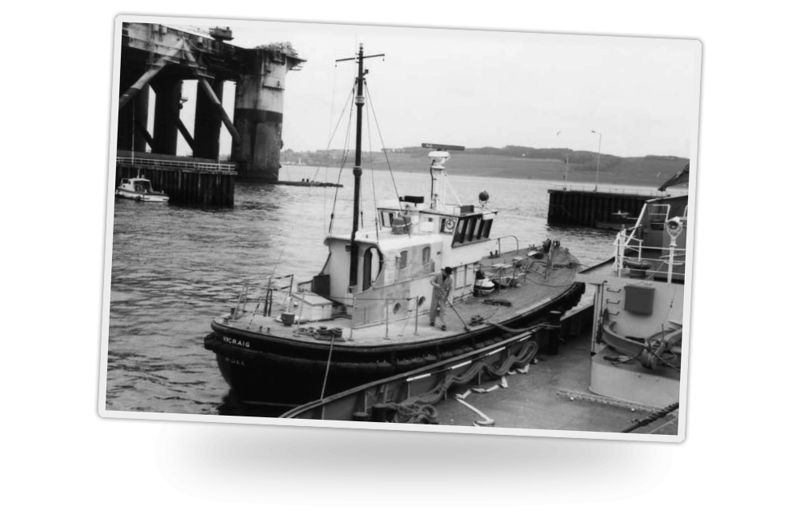 The pilot’s job was to guide and manoeuvre larger ships through the shallow waters of the busy harbour of Dundee. 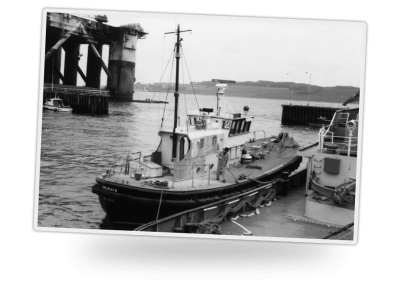 As such, the Murray McDavid needed to be able to withstand heavy seas and bumping against the much bigger vessels she worked alongside. 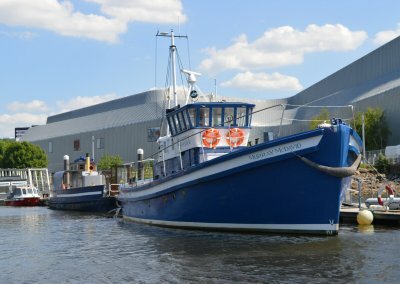 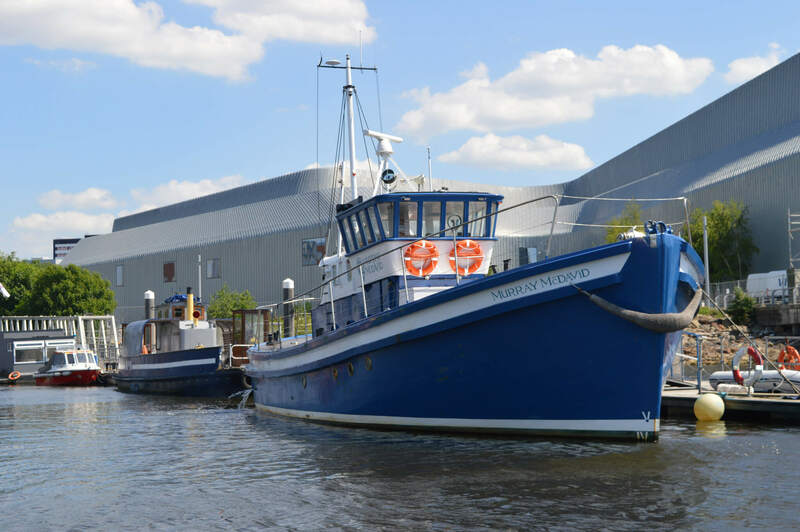 Fast forward 60 years, and the boat has been acquired by the Murray McDavid company, fully renovated and given a new lease of life. 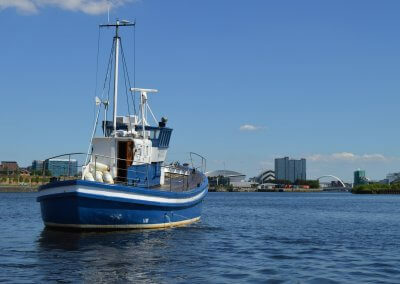 It has been nearly seven years since the advert for the sale of the ‘NewCraig’ first caught the attention of Edward Odim, Managing Director of the independent Scotch Whisky company Murray McDavid., who had always dreamed of restoring an old boat. 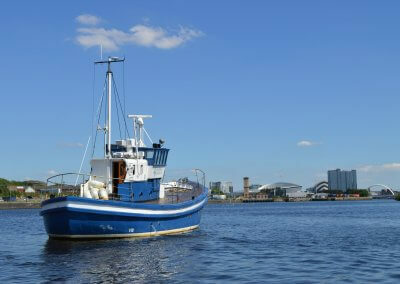 Since buying the boat in 2010, it’s taken a team of four, five years to lovingly restore the boat. 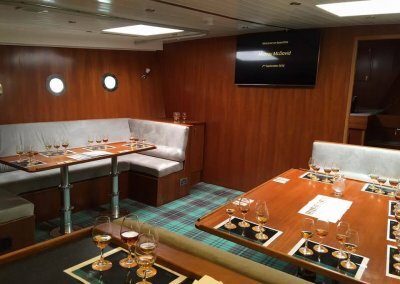 The boat is used to promote the Murray McDavid whisky brand; hosting whisky tastings for whisky lovers and offering trips on the River Clyde and out to the ‘Whisky Isles’ on the West Coast of Scotland. 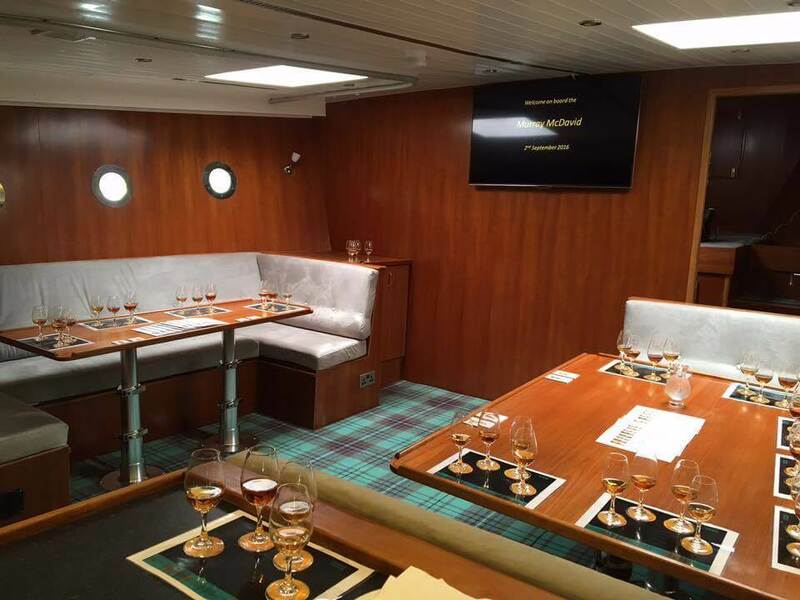 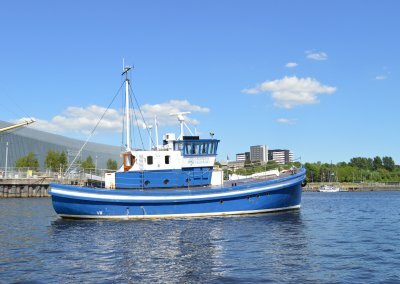 The boat has full Wi-Fi and a presentation screen and can be booked for business meetings during the day. 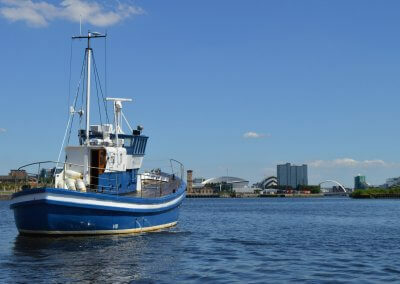 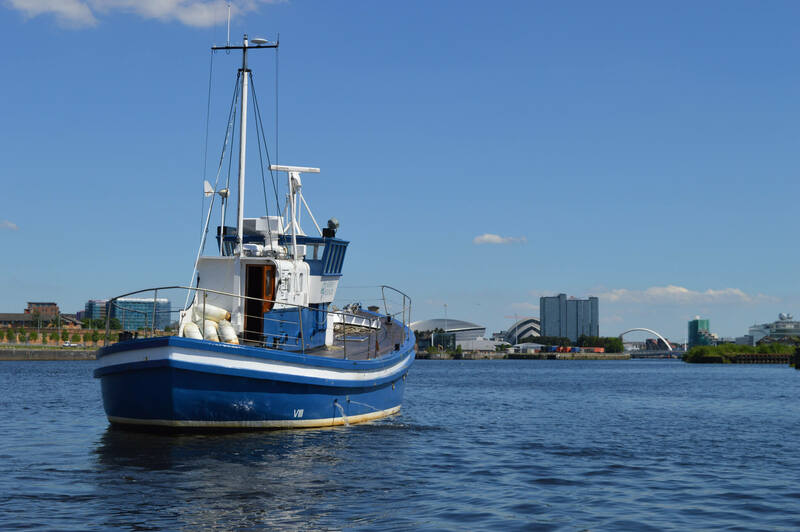 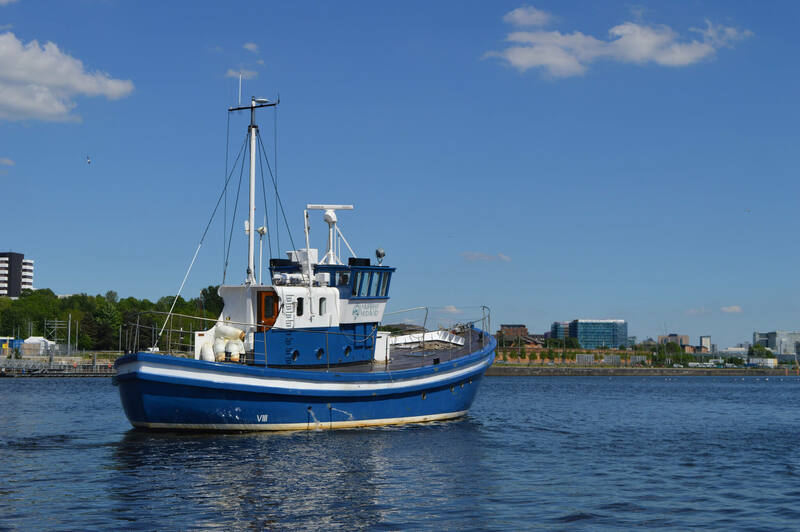 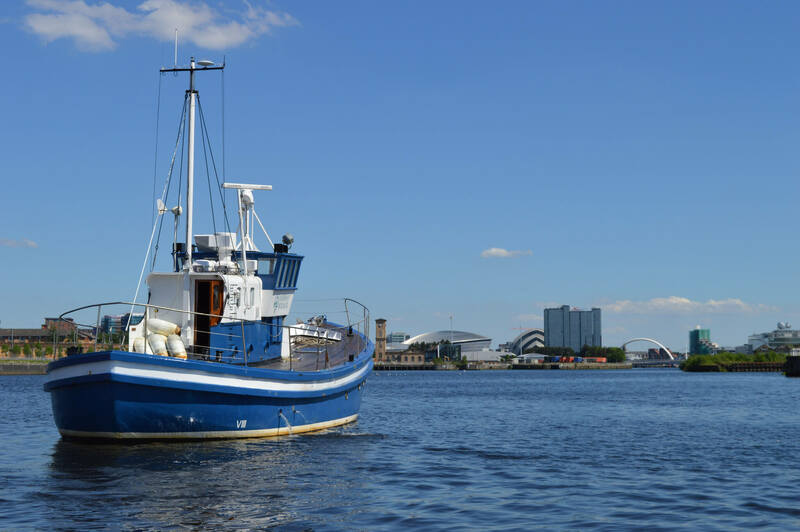 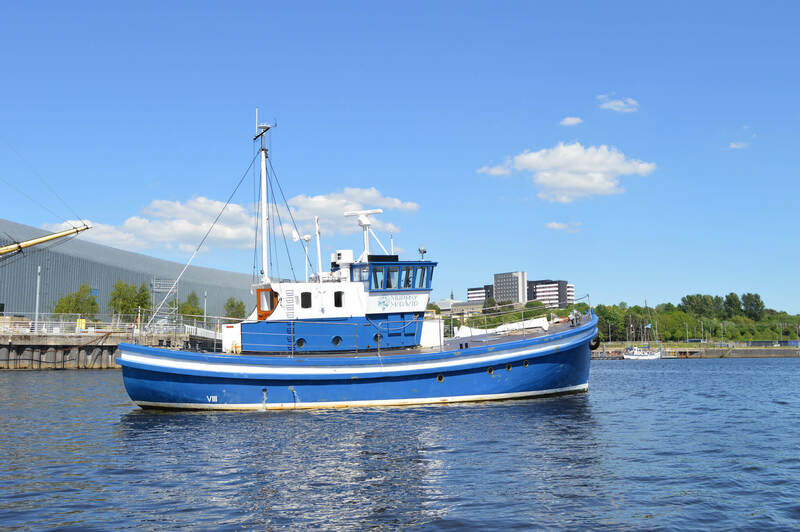 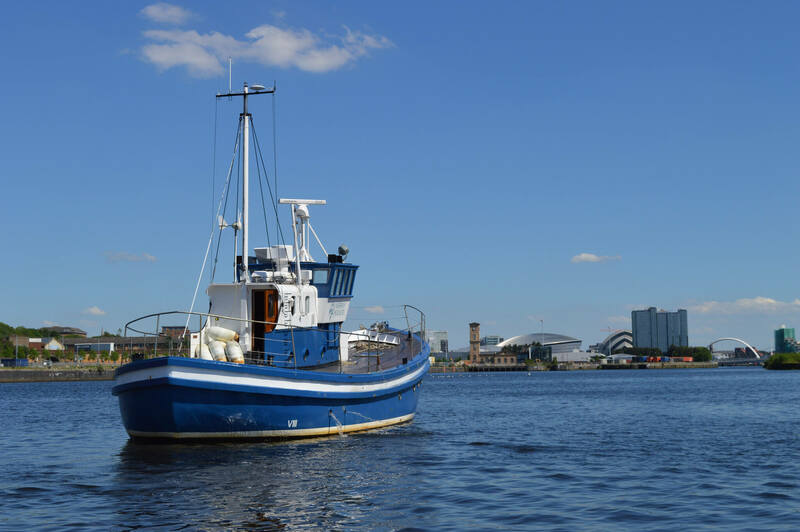 The boat can also be booked for overnight stays and guests can enjoy the nightlife on nearby Byres Road, Glasgow’s buzzing centre. 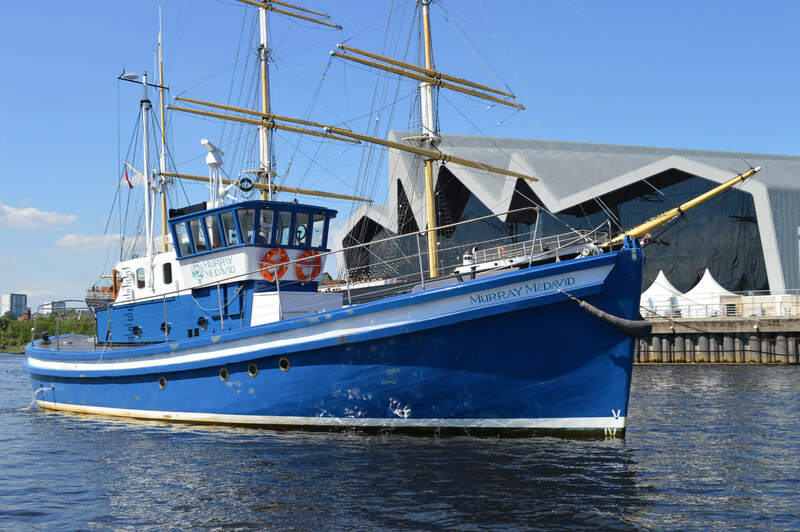 Below deck, the Murray McDavid has spacious accommodation, with ensuite facilities. 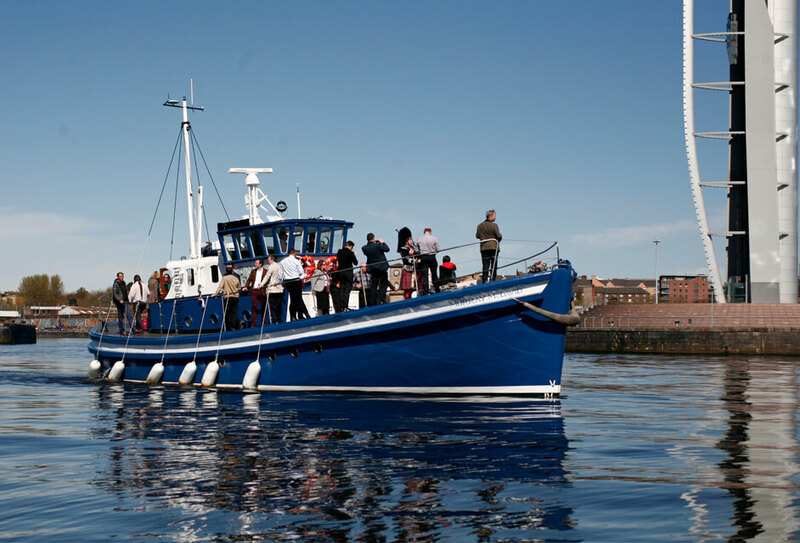 There is a fully equipped kitchen and dining/lounge area which comfortably seats up to 14 people. 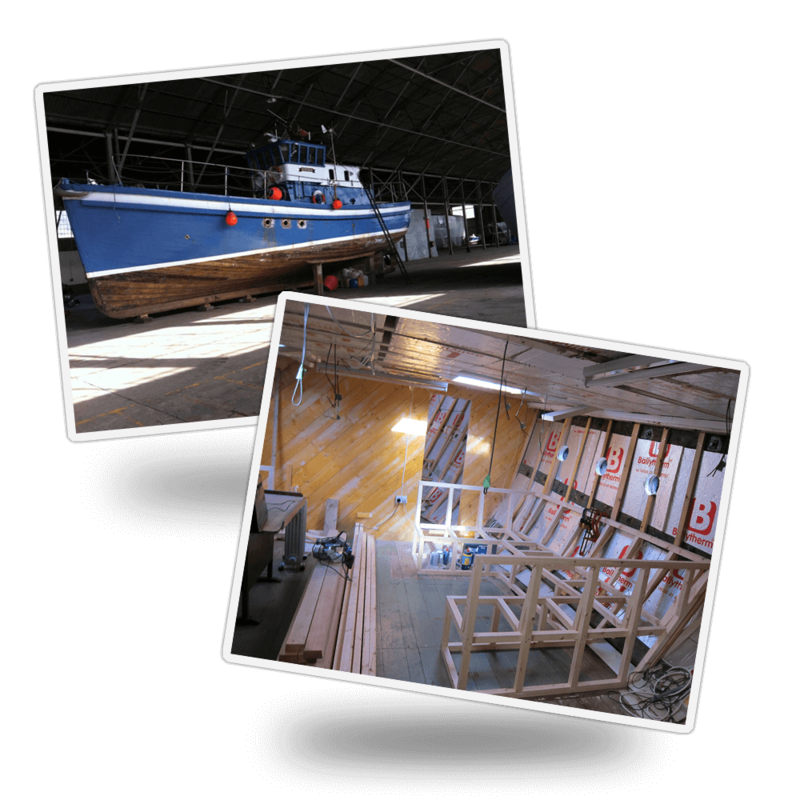 If required, the seated areas can easily be transformed into two further double bed cabins. 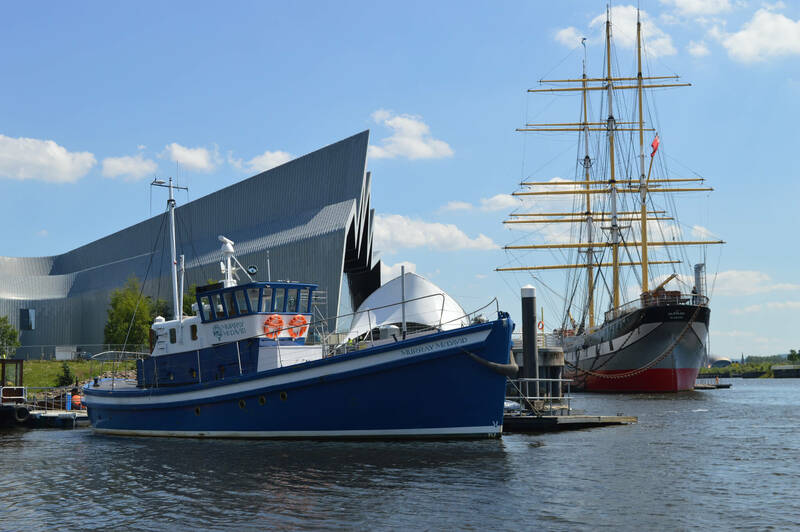 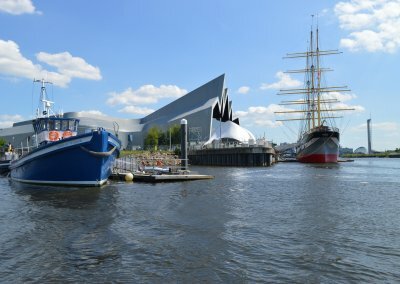 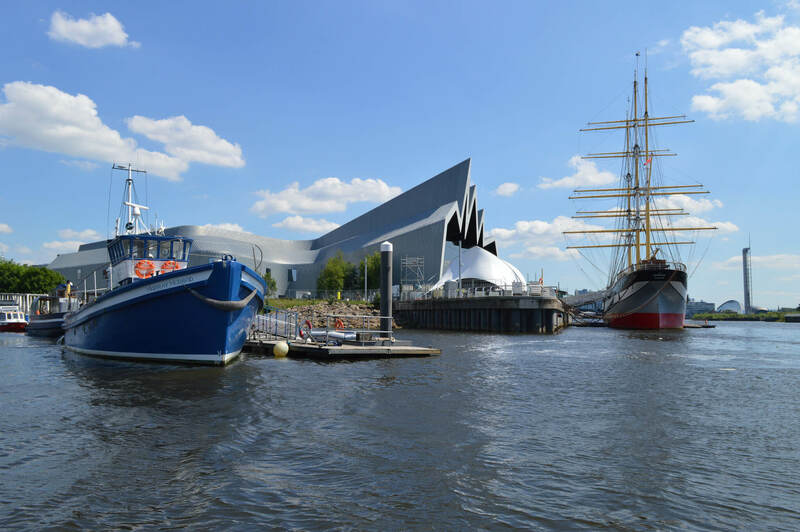 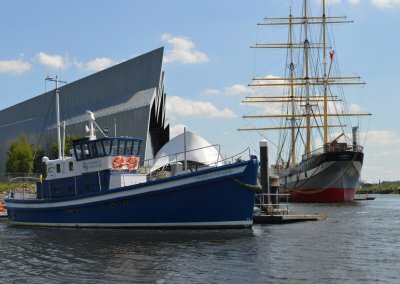 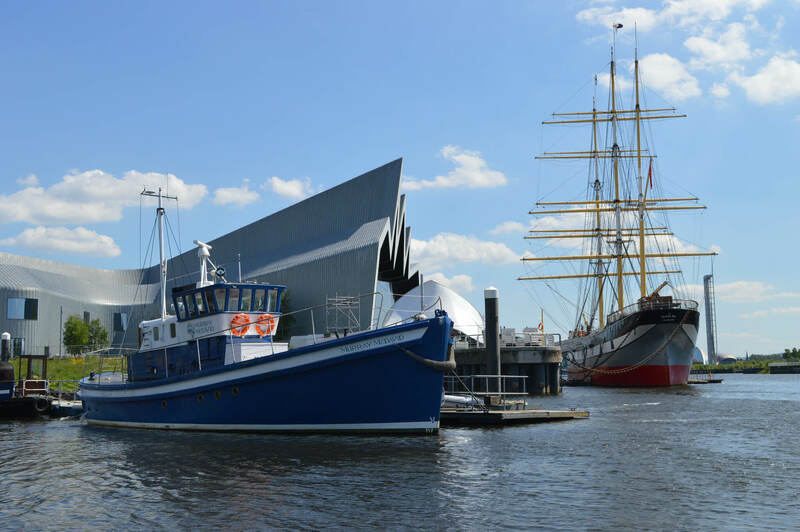 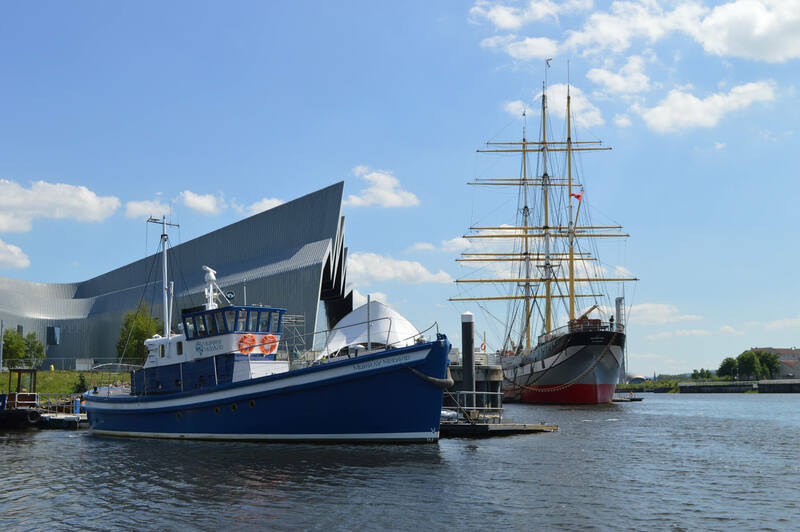 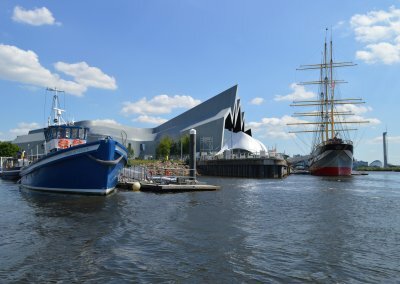 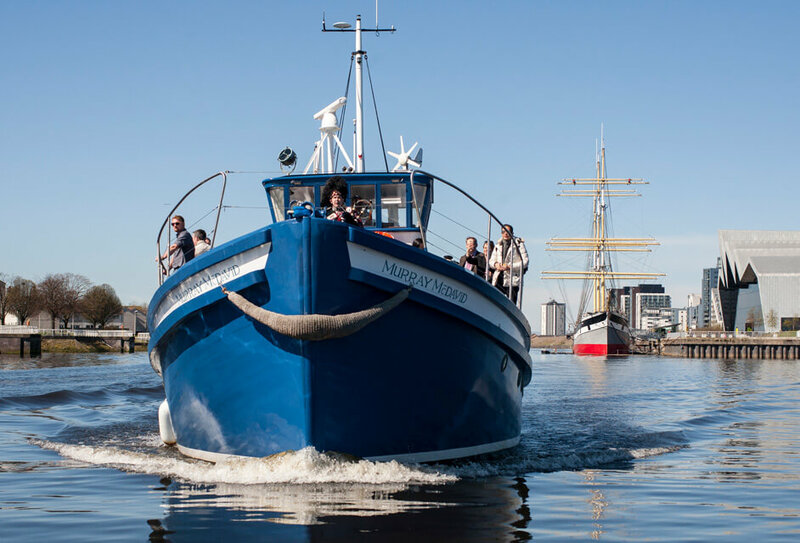 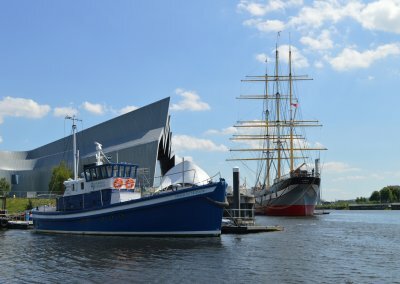 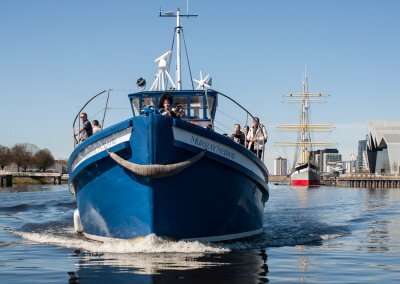 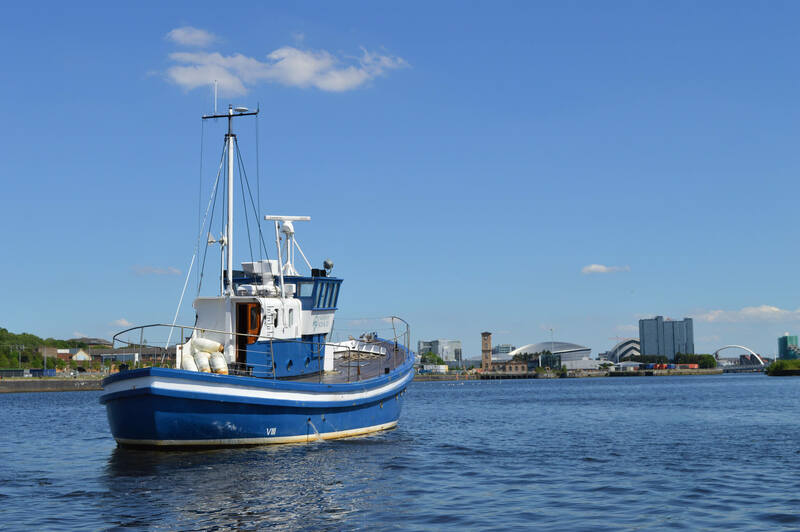 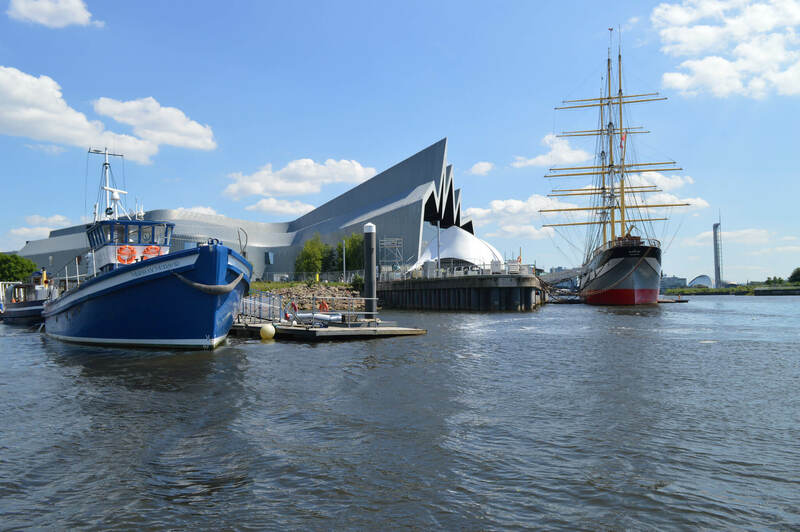 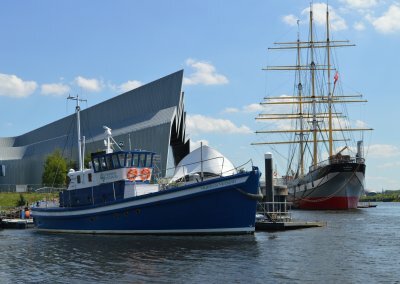 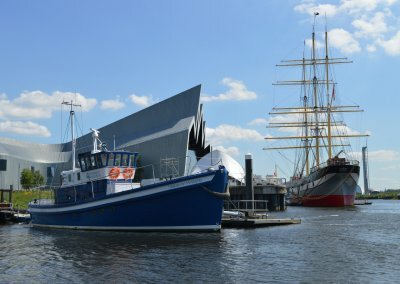 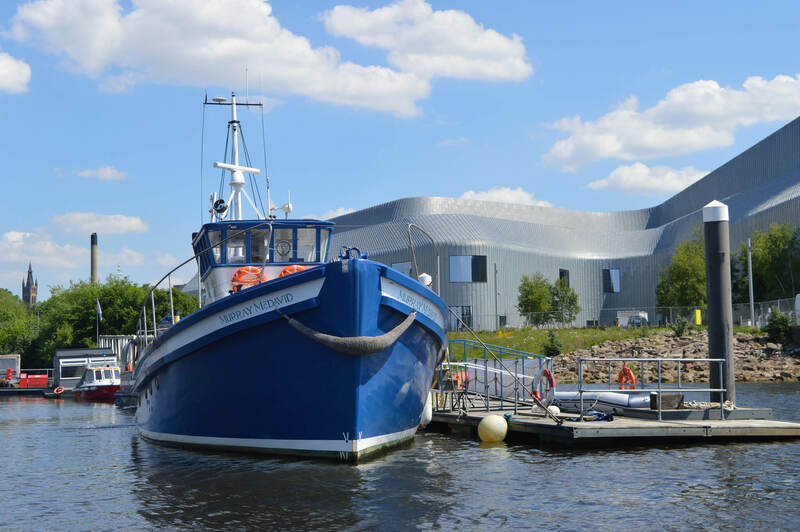 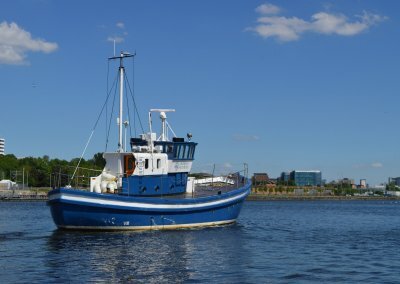 The beautifully refurbished Murray McDavid now has a permanent mooring in the heart of Glasgow, lying close by to Glasgow’s tall ship ‘The Glenlee’ and the Riverside Museum.